The Chapel along with Puppets 4:13 will be at the Renhold V.C. Lower School Fayre on Saturday 30 June between 2pm and 4pm, come down and see us there! 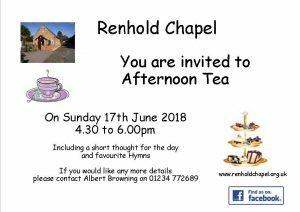 We invite you to join us for Afternoon Tea which will include a few favourite hymns and a short talk. 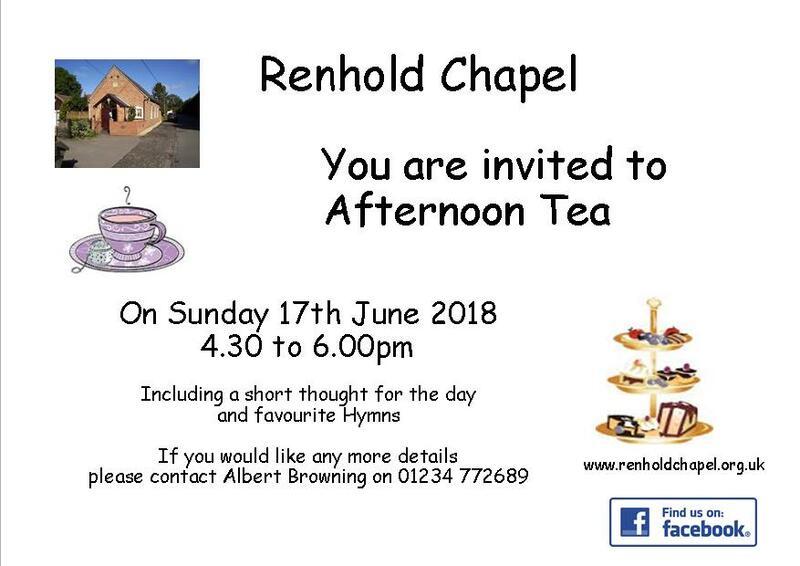 Come along and meet us in an informal setting, you do not need to be a church attender yourself. This month’s Chapel Newsletter is here!